Research by resource management company Veolia has found that 93% of people think plastic bottles should contain recycled content and most will pay an average 2.5p more for this. The results were published in a new report by Veolia and plastics charity RECOUP called Plan For Plastics and show a gap between what recycled content the public expect to be in plastic products and the reality. Findings from the survey show that 93% of consumers think plastic bottles should contain recycled content, and 55% believe the majority of a bottle should be recycled content. According to Veolia, plastic bottles and packaging use less than 15% recycled content, a big difference from consumer expectations. Increase the use of recycled content in the manufacturing of new products. The research found that 87% of people think plastic bottles should be recycled in the UK. From this, Veolia is calling on manufacturers and Government to remove bottlenecks to improve recycling rates. 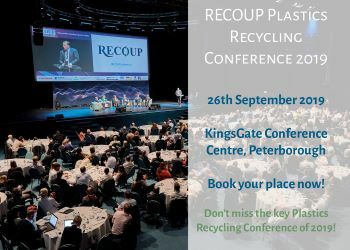 Veolia UK & Ireland chief technology and innovation officer Richard Kirkman said: “Plastic packaging can be complex but increasing recycling rates can be simple. Veolia is in a unique position, holding a bird’s eye view over the end-to-end plastic recycling process, and in this report with industry experts RECOUP, we recommend three clear ways for the UK to become a champion of plastic recycling – both environmentally and economically – setting the standard for the next decade.